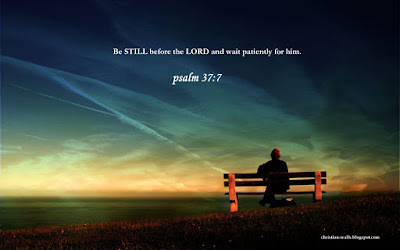 Be The Few: Be Still ... Let God be God! Be Still ... Let God be God! When people are resistant to conversations about the PERSON of Jesus .. that could be because they are NOT CLOSE to Jesus. They may have been sold out to Jesus at some point in time (or maybe they have never really had a relationship with Him!) .. when you begin to speak about your love for the Lord, they begin to squirm. This is called conviction. THE LAST THING YOU WANT TO DO WHEN A PERSON IS BEING CONVICTED BY THE HOLY SPIRIT IS TO INTERFERE. Back up and let the Holy Spirit do His job! Jesus told us that HE would draw all men unto himself. Our job is to point people to JESUS. Whatever error people may have in their doctrine.. God is big enough to handle it. TRUST GOD! !